Having more than 11 moles on your right arm could raise the risk of getting skin cancer in the future, research has suggested. 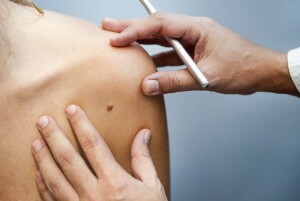 Researchers said they have found a new way for GP’s to quickly assess whether somebody may be at risk of developing melanoma by counting moles on a “proxy” body area such as the arm or the leg, according to experts from King’s College London. Around 20% to 40% of melanoma is thought to arise from pre-existing moles. Having more than 100 moles on the body is a “strong predictor” of developing melanoma. The study, which was funded by the Wellcome Trust, examined data from 3,594 female twins. Specially trained nurses from St Thomas’ hospital in London performed a mole count on 17 areas on each person’s body. Skin type, hair and eye colour and freckles were also recorded in the research. The results were checked against a further study involving men and women. Scientists found that the count of moles on the right arm was most predictive of how many moles were on the entire body. Those people with more than seven moles on their right arm had nine times the risk of having over 50 on the whole body, while those with more than 11 were more likely to have more than 100. Could The Cure For Cancer Have Been Found By Accident? There are some accidents you can forgive. Like possibly discovering the cure for cancer. According to a recent study, a group of Danish scientists might have done just that by discovering that a potential malaria vaccine had the unexpected side effect of destroying and killing tumours. 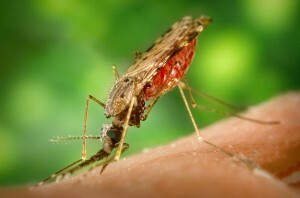 Malaria is a blood borne disease caused by the Plasmodium parasite. It is spread through humans by the bites of mosquitos and, according to UNICEF, kills over a million people around the world every year. Malaria is especially dangerous for pregnant women as the parasite may attack the placenta, which puts the child’s life at risk. In their ongoing efforts to prevent these specific infections, scientists from the University of Denmark made a remarkable observation: Due to the similar characteristics between tumours and placentas, the same technique malaria uses to attack and destroy placentas, it could also be used to destroy cancer tumours. It will be at least four years before the treatment will be available to test on humans, and researchers are hopeful it’ll be a significant step forward in cancer treatment research. However, since the protein they use attaches to carbohydrates found only in the placenta and cancer tumours, this life-saving characteristic will make the treatment too dangerous for cancer treatment in pregnant women. “Expressed in popular terms, the toxin will believe that the placenta is a tumour and kill it, in exactly the same way it will believe that a tumour is a placenta,” Salanti said. Almost three quarters of hospitals run by the NHS have been called “unsafe” for patients in a damning report by the Care Quality Commission (CQC). 74% of the 150 hospital trusts inspected by the health regulator in the last year have been classed as “requires improvement” or “inadequate” when it comes to ensuring patient safety. They highlighted several concerns in particular such as cases where non-medically trained staff such as A&E receptionists were being forced to triage patients because there were no medical staff ava ilable at the time or no medical staff within the vicinity. They also highlighted not completed safety checks, disregard for infection control practices, ineffective management of medicine and members of staff not receiving the correct training. Overall, two thirds of NHS hospitals were deemed to be “requiring improvement” or “inadequate” within the report from the State of Care. But Katherine Murphy, the chief executive of the Patients Association campaign group, said that she found the figures “worrying”. 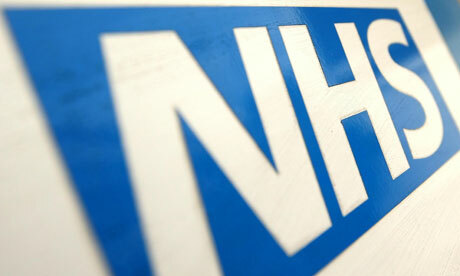 She said: “It is worrying to see that there is still such variation in the quality of care being delivered.